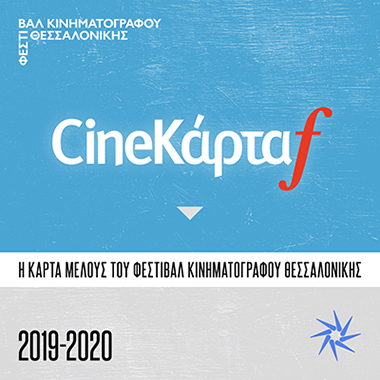 On occasion of the 59th Thessaloniki International Film Festival’s tribute to the work of the Chilean visual artists-filmmakers Cristóbal León and Joaquín Cociña, Cristóbal León visited Thessaloniki to present his films to TIFF’s audience. On Friday November 9, 2018, in a stacked Tonia Marketaki theatre, the audience enjoyed a selection of the two artists’ short films, in the presence of Mr León. León and Cociña’s films have traveled around the world taking part in international festivals, museum exhibitions and biennials. This year’s TIFF hosts nine short films of theirs, as well as their latest film, The Wolf House, which is also their first feature. The two artists’ interpretation of religion, traditions, the past and present of Latin America combines different techniques such as stop motion with papier mâché figures, real settings and objects, painting, drawing and photographs. TIFF’s artistic director Orestis Andreadakis made the introduction saying that the artistic duo from Chile will “guide us to the dreams and history of Latin America”. Cristóbal León said he was very happy and impressed to attend such an important festival. He said that he is curious to know the audience’s reaction to the films, since many of those have never made it to cinema, screening only as part of exhibitions in museums and biennials. After the screening, the artist discussed with the audience. First, Cristóbal León explained how his work is relating to Chile’s history and political reality. “Joaquín Cociña and I both grew up during Pinochet’s dictatorship. It’s not that we experienced something very dramatic, we did have a relatively happy childhood. Still, the conditions in our country were very dark and oppressive. We used to live inside, in our homes, which is perhaps why our films are so claustrophobic. During dictatorship we had no public space and this bore down on us a lot. Perhaps that’s why in one of our films we decided to bring back Jaime Guzmán, a leading figure during the dictatorship, to force him to ask forgiveness and fix what’s broken”. Speaking about the connection between art and life, the filmmaker said: “Art is the reflection of our own lives. I know that in my films I highlight topics that are profound and need to be discussed, such as the social aspects of freedom and identity. Anyway, I have to say that neither I nor Joaquín Cociña are as dark and sad as our films. We have a great time during shootings and wish to instill some black humor in our films”, he added. Finally, Cristóbal León commented on whether his work is related to his compatriot documentarists’ Patricio Guzmán: “Unfortunately, I’m not a great fan of Guzmán’s work anymore. He is too poetic and direct to my taste. No doubt that his works are very important, i.e. The Battle of Chile. Still, I prefer political references to be more subtle, and I like underlying humor and a not-so-direct approach. Just like our feature, The Wolf House, which I would say has a flavor of a dark fairytale. This is a long discussion, actually”, the filmmaker concluded.